Learning in primary at Roong Aroon school is centered around the core Buddhist philosophy of awareness and reflection to bring mindfulness as the children expand their understanding. Each level of primary will organize the learning through primary themes which integrate the real situation of relevant issues. This issue is developed through a series of questioning, investigating and reflecting prompting an inquiring mind. The students are led to a variety of hands on experiences where they are able to discover the essence of the situation. Through a variety of skills and tools, incorporating a variety of subjects including language, maths, science , social studies as well as arts and music. The child develops understanding of the theme from a variety of perspectives emphasizing the interrelationship of knowledge. Importantly, through the process of investigation, the children are developing their personal sense not only in their relationship with the theme but further discovering themselves through this work based approach. To allow the students to fully realize their own potential, the teacher allows the opportunity for the children to develop their individual projects which can expand on areas of interest in the theme. In this outcome, the students create a deeper understanding of their relationship with the knowledge, their interest and their own inner development as they organize their own interest, understanding and expression. Rice is Life Project ROne example of this holistic approach to knowledge management is in primary grade 5. The theme of this level is rice which is an essential element in Thai culture both in personal consumption, social life, ceremonies, and the economy of the country. Those that support this basic need are the farmers. For this reason, grade five chose the theme of the rice farm. 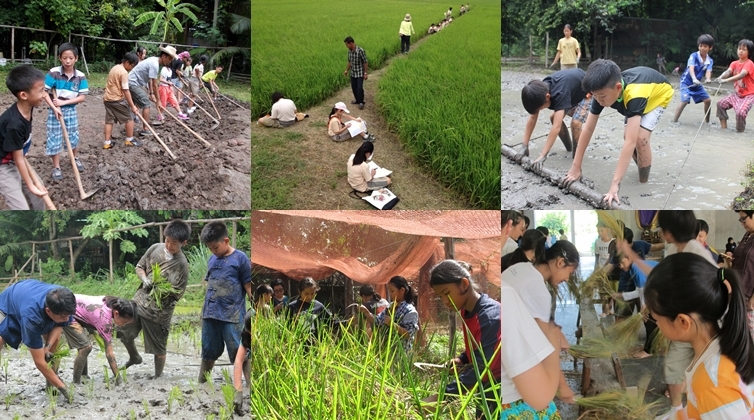 To develop a deep understanding of the rice farm, the children must have first-hand experience. They are given an undeveloped plot of land to learn, soil preparation, planting and harvesting. Therefore the children see through their own effort, the complete process of their rice farm including the hardship and pleasures they experience. All of these processes require knowledge from a variety of areas. 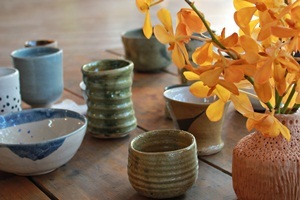 This knowledge integrates Thai language: traditional literature, poetry; social studies: farming communities and lifestyle, tradition, ceremony; maths: calculating land area; science: ecosystem, the reproduction system of plants; arts., and life skills: recipes and develop their techniques of cooking. Copyright © 2019 โรงเรียนรุ่งอรุณ All Rights Reserved.